Please keep addressing your message concerning flat file submission to : jktcid@ekmtc.com (IMPORT) and jktced@ekmtc.com (EXPORT). Kindly ensure you have receipt confirmation from us for every single flat file manifest submitted. We will not responsible for any problem and risk arise due to the failure of above condition. 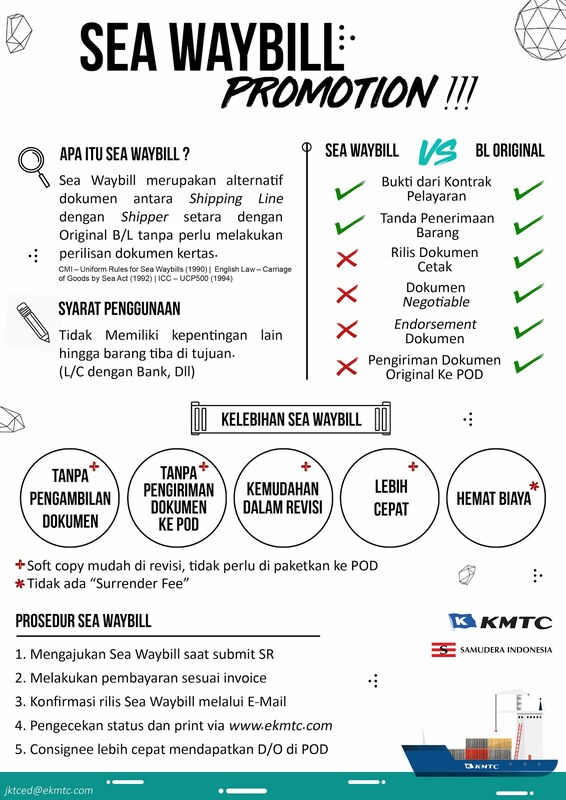 What Is Sea Waybil ? KMTC-SAI@2018. Picture Window theme. Powered by Blogger.